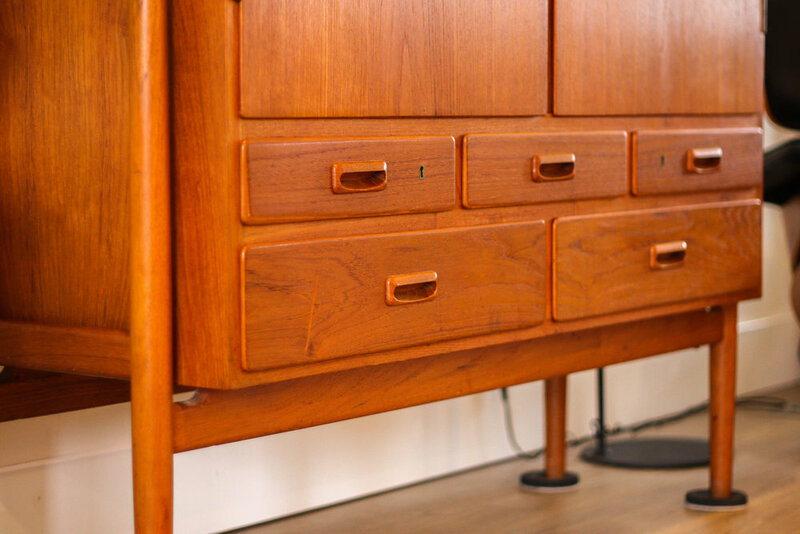 Featured here is an incredibly uncommon high buffet / cabinet designed and made by Niels Vodder, Denmark c. 1956. 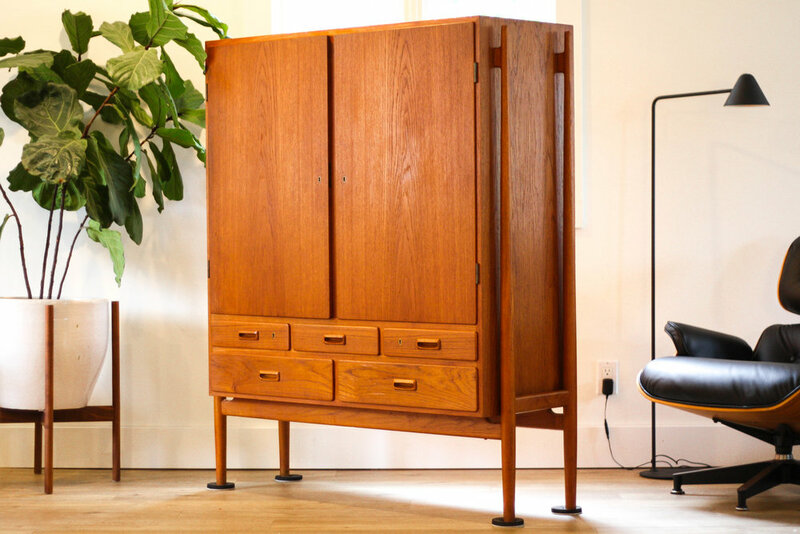 Niels Vodder was the cabinet maker for Finn Juhl’s most coveted designs, and their collaborative work and influence on one another is obvious in the design of this cabinet. Sculpted legs make the main cabinet appear to float effortlessly. 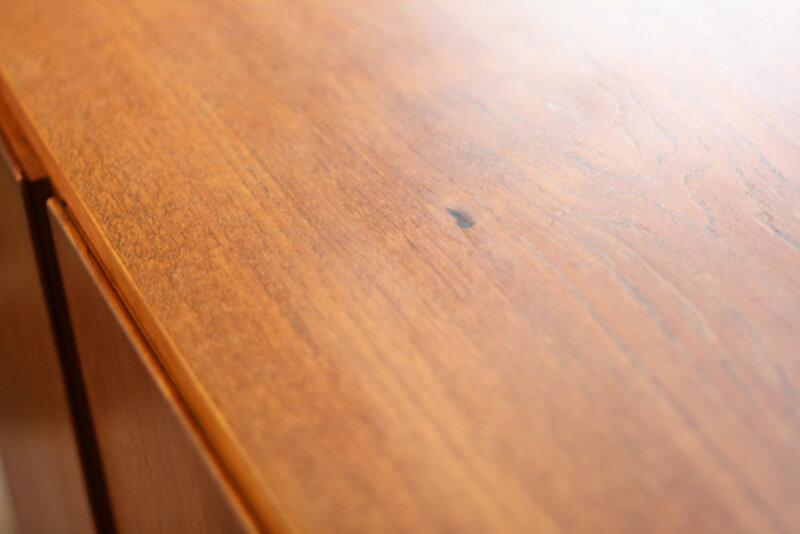 Five drawers down low are perfect for hiding silverware, clothes, or especially your small odds and ends. Behind the two large doors are two adjustable (and removable) shelves that give you a ton of storage flexibility. In very good to excellent condition, this piece shows beautifully. Minor wear as expected with any vintage piece. This truly is Danish design at its very best, and would command attention in any space. A worthwhile investment for those privy to how rare a cabinet like this is. Retains the metal Ilums Bolighus badge which was the importer of Vodder pieces to the US as noted in the original advertisement pictured below.